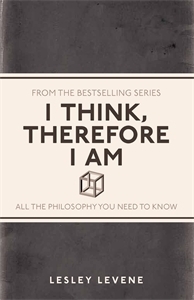 As someone who studies philosophy, this book is hardly a surprising choice. I picked up this book hoping to learn more philosophy to see what I might find intriguing and what I might want to study at university next year. Unfortunately, I was severely disappointed. This book reads less like a book on philosophy and more like a history book about philosophers. There was very little in the way of philosophical ideas and schools of thought and more biographical details of the men who had these ideas. On top of this, since the book aimed to provide a brief insight into many people, the information was not very interesting and read a bit like a Wikipedia page. I will only keep this book as it might be useful if I do ever need a bit of background information on any philosophers I will be studying in the future, but I am sure that there are much better introductions to philosophy out there for anyone interested.